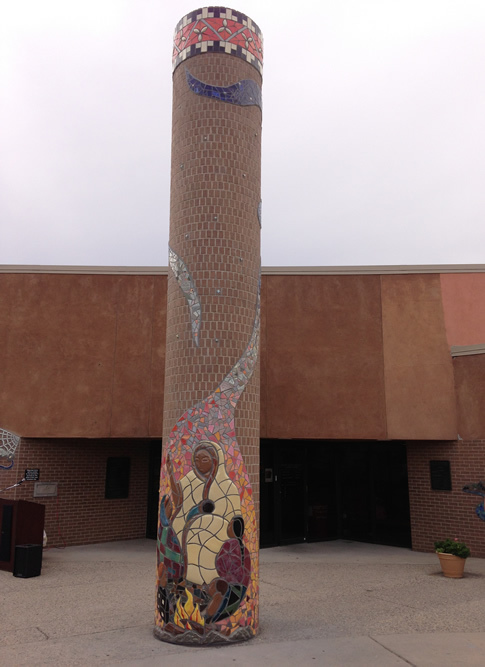 The Juan Tabo Library is located on Juan Tabo Blvd, halfway between Candelaria Road and Comanche Road, on the west side of the street. Note the building is set back off the street. Route #1 Juan Tabo. Plan your trip here. Take I-40 to Juan Tabo and proceed northbound past Candelaria. Make a left turn at the Library sign. Don't turn in at the dental office; you'll be driving on the wrong side of the street. Make the first right hand turn after passing the Sandia Plaza Condominiums and a flood control arroyo. Juan Tabo Library has one meeting room that will hold a maximum of 80 people. Policy, rules and required forms for using the meeting room may be found at Meeting and Study Rooms as well as a list of meeting rooms at other branches. No study rooms available at this library. What is Fiction to Go? The Friends for the Public Library sells slightly used, recently published fiction titles for $2 for hardbacks and $1 for paperbacks. Like all funds that our Friends receive, all proceeds from Fiction to Go sales benefit the Public Library! oin us for this craft hour on the first Saturday of the month from 11-12! We will work on simple crafts, perfect for 3-6 year olds (with a little help from you!). Every child must have an adult with them throughout the craft, and all materials will be provided. Registration is required! The Bookworms adult book club meets the fourth Wednesday of the month at 1:30 p.m. New members are always welcome! Does your teen love video games? Do you love video games? Would you like your children to learn the skills to build and make their own games, websites, and computer programs? Sign them up for Code Club! Come join us every Tuesday from 6:00pm - 7:30pm and learn how to program computers. For girls ages 11 and up (grades 6-12). For more information about the program mission and to register, visit www.codeclubs.org. Our kids’ crafts are awesome! Come and make something fun with us at this monthly crafting session on the 3rd Wednesday of the month at 3:30pm. All materials are supplied, but registration is required. For ages 6 and up. For kids ages 4 and up, and parents with their younger children. 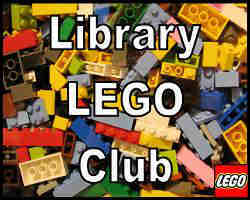 Join Juan Tabo's longstanding Lego Club the fourth Saturday of the month at 11:00 a.m. Use your imagination to create your Lego masterpiece. Join us for a different activity every month focusing on science, technology, engineering and math (STEM)! For ages 8 and up. The 1st Wednesday of every month 3:30-4:30 p.m.
Let's sing, dance, listen to stories, and play instruments together! Every Tuesday at 11:15 a.m.
Every Thursday at 10:15 a.m. We'll travel to faraway lands, learn about animals, practice our ABCs, learn about different languages, and so much more! Help your child get ready for reading with fun songs and activities. Join in the fun with stories, songs, puppets, and more that encourage development of early literacy skills in young children, using the guidelines from the Every Child Ready to Read program. We’re beginning a new reading adventure in 2018! Each month, we’ll read a title that has won some sort of literary award. Did the book deserve to win? Join us for an interesting discussion as we decide if the book was worthy of the accolades bestowed upon it. We meet on the third Thursday of each month at 1:30 p.m. The second Saturday of the month at 11am. Join us for an hour of imaginative playtime. We'll have some of our special imagination-friendly toys ready. Families welcome! The second Friday of the month at 1:30 p.m. Join us as we take some time out of our day to recenter, calm down, and work on our Zentangle projects. New to Zentangle? We'll help you get started! Very basic materials are provided but you should bring any specialty materials you want to use. Ages 16 – 100. The fourth Wednesday of the month at 3:30 p.m. Level up your building technique with Zoobs! Like Legos but more complex, Zoob is a moveable 3-D modeling system. Ages 6+. Registration is not required. Curious about the artwork outside the building? 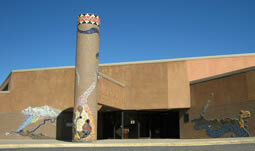 Called "Once Upon a Storytime" it was created by the Mayor's Art Institute as a testament to the rich oral and written traditions of New Mexico. It includes imagery from more than 20 New Mexican Authors as well as a poem by an Albuquerque Poet Laureate. You can find more information about this and other Public Art at the Public Library here. Looking for something good to read, and a group of friends to share it with? Join our Book Group! Meets on the 4th Wednesday of every month at 1:30 p.m.
Join us for building adventures with Lego Club one weekday and one weekend a month! Let your imaginations run wild with your designs. Legos provided.